If you were an ant or termite, you certainly wouldn’t want to be around when there’s a hungry Aardwolf (Proteles cristatus) on the prowl. 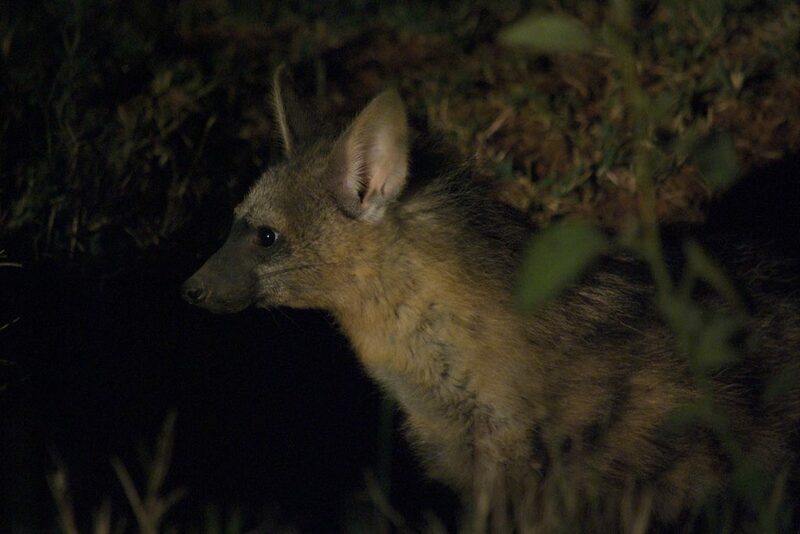 These shy, nocturnal creatures may be small – with adults averaging around 10kgs – but they have an appetite second to none. 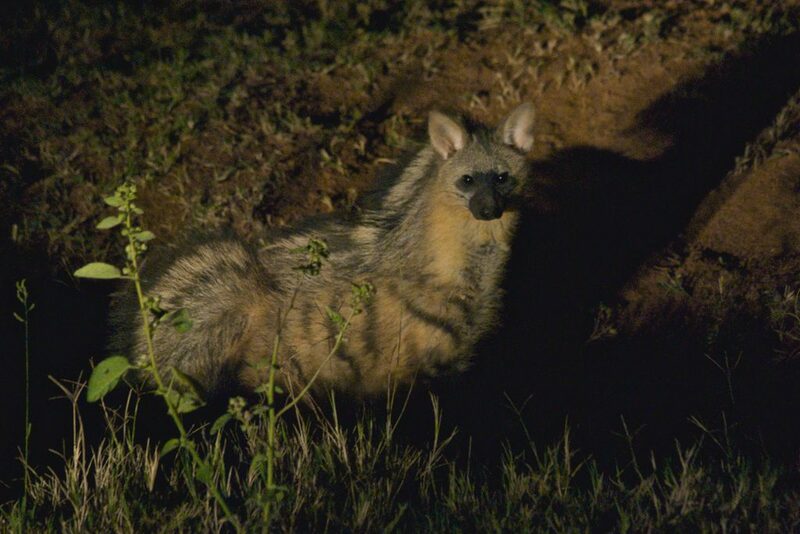 In fact, a single Aardwolf can consume up to 400 000 ants and termites in a single evening, scraping at the nests and using their rough tongues to lick up piles of the hapless insects. 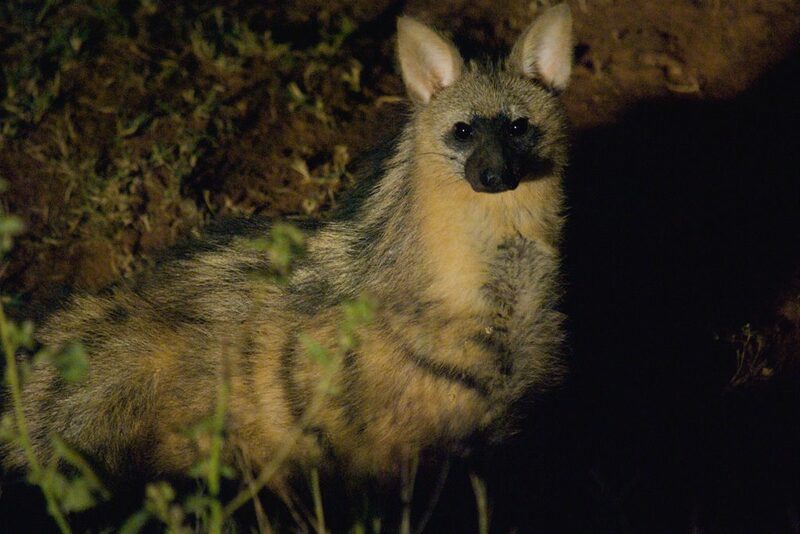 Despite feasting predominantly on small insect, the Aardwolf has very large canine teeth. Rather than using these to tear up meat, they are primarily a defence mechanism and come in very handy when the Aardwolf finds itself under attack. In addition to having some impressive teeth to flash around, the Aardwolf is a very attractive animal with its yellowish-brown fur and striking black stripes along its shoulders, back and hips. They use burrows to shelter and raise their young, and prefer sandy habitats where food is readily available, so spotting one is considered a fairly rare treat by game viewers. If you are going to enjoy such an experience, however, one of the best, and most likely, places to do so is on a night drive through the fantastic Lapalala wilderness.